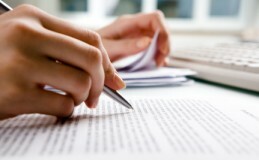 Stephen Lloyd Training is one of the leading providers of business writing skills training in the UK. Almost 2,000 people a year attend our courses. We only offer training in writing skills; this is our area of expertise. Our focus is on helping people to write well at work. Courses include business writing, report writing, grammar and proofreading. The full list is on the left of this page. All our programmes are available as in-house training and many are also run as open (public) courses. Explore these options below. We run many of our programmes as regular open courses in central London. Some are also held in Manchester, Bristol and Exeter. Anybody is welcome to attend them. All are one-day courses except Business Writing, which lasts for two days. Each course is taught by a specialist trainer, with years of experience as a writer and editor to pass on. Afterwards we give every participant a year of further support. If you have a group of staff who need to acquire the same skills, an in-house course will be the most cost-effective option. It will also be designed specifically for you, making it exactly focused on the needs of your staff and your organisation. After the course, each of your delegates will receive a year of additional support from their tutor, enabling them to continue to develop their skills. Outstanding stuff. Clear, concise and well presented. I was really very impressed indeed. The improvement in our documents has been so marked that our model is being rolled out across the globe. Stephen Lloyd has detailed knowledge of his subject, vast experience as a writer and editor, and the ability to teach with humour and enthusiasm.